Whether due to an unexpected job loss, a medical event, a court judgment, or other change in economic circumstances, a person will find that he or she is no longer bringing in enough income to pay his or her bills. This economic condition, in which the money coming in is less than the amount going out to pay debts, is called insolvency. When a person becomes insolvent, he or she may consider bankruptcy as a way to deal with this overwhelming debt and get a fresh start. 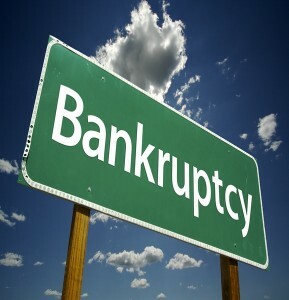 In the bankruptcy system, a person filing for bankruptcy protection is called the "debtor," For the vast majority of individual debtors, there are two types of bankruptcy filings, those filed under Chapter 7 of the bankruptcy code and those filed under Chapter 13 of the bankruptcy code. These two types of bankruptcy are quite different, have different requirements for filing, and are designed to meet different goals. A bankruptcy filed under Chapter 7 is designed to discharge the outstanding debts of so called "honest debtors" and allow them to start fresh free from the quagmire of overwhelming debt. In a Chapter 7 bankruptcy, the Trustee will sell the debtor's nonexempt property and distribute the proceeds from that sale to the debtor's creditors. Most of the remaining debt is then discharged, that is, the debtor has no liability to repay it. In order to file under Chapter 7, the debtor must meet certain income guidelines. First and foremost is the requirement that the debtor's current monthly income be below the median income for their state. So, depending on which state you live in, qualifying incomes will be different. Arkansas currently has the second lowest median income of any state. Only Mississippi's median income is lower. If your income is below the state median, you qualify to file a Chapter 7 bankruptcy without further inquiry into your income. However, if your income is at or above the state median, the debtor is subject to a "means test" to determine if the filing of a chapter 7 is presumptively abusive. If the "means test" shows lack of abuse, the debtor can file a Chapter 7. If the "means test" does not overcome the presumption of abuse, the case will most often be converted to a chapter 1, if the debtor consents to the conversion, or it will be dismissed. When a debtor files a chapter 7 bankruptcy, he or she does not enter into a repayment plan as in a chapter 13 bankruptcy. Instead, the bankruptcy trustee takes possession of the debtor's nonexempt property, sells it, and uses the money from the sale to pay creditors according the provisions in the Bankruptcy Code. This only applies to nonexempt property. The Bankruptcy Code lists types of property that are "exempt" from the trustee's ability to sell a debtor's assets. If an asset qualifies as "exempt" under the Bankruptcy Code, then the debtor is allowed to keep it. So, while most debtors who qualify for a Chapter 7 bankruptcy will most likely be able to keep the vast majority of their property, filing under Chapter 7 may result in the loss of some of the debtor's property. In addition to the means test, a person must have taken an approved credit counseling course within 180 days before filing the bankruptcy petition. Further, a person must not have had a bankruptcy case dismissed within the previous 180 days because of the debtor's willful failure to appear before the court or comply with orders of the court, or the debtor voluntarily dismissed the previous case after creditors sought relief from the bankruptcy court to recover property upon which they hold liens. A Chapter 7 case begins when the debtor files a petition with the bankruptcy court serving the area where the individual lives. In addition to the bankruptcy petition, the debtor must also file other forms disclosing all property and debts, current income, current expenses, a statement of financial affairs, all current contracts, and unexpired leases. These forms are called "schedules" and should be filed at the same time as the bankruptcy petition. The debtor must also provide tax returns to the trustee. Finally, individuals with primarily consumer debts must also file a certificate of credit counseling and a copy of any debt repayment plan developed through credit counseling, evidence of income for the 60 days prior to filing, a statement of monthly net income and any expected change in income or expenses, and a record of any interest the debtor has in federal or state qualified education or tuition accounts. -A detailed list of the debtor's monthly living expenses, such as food, clothing, shelter, utilities, taxes, transportation, medicine, grooming, entertainment, and other expenses. -If a married person is filing a Chapter 7 bankruptcy, his or her spouse's information must be gathered and disclosed to the Court, even if the spouse is not filing bankruptcy or is filing separately. In addition to information regarding property, debts, income and etc., the debtor will file a schedule of "exempt" property. The Bankruptcy Code allows a debtor to protect certain property because it is exempt under federal bankruptcy law or under the laws of the debtor's home state. In Arkansas, the debtor may choose to use either the exemptions provided by federal law or the exemptions provided by Arkansas state law. However, you must choose one or the other, and cannot use both. When a debtor files his or her petition under chapter 7, an "automatically stay" comes into effect. This stops most collection actions against the debtor or the debtor's property while the case is pending. While this automatic stay stops most collection efforts and action, it does not stop all of them. It does not stop a criminal prosecution, a paternity suit, a child support action, a visitation action, a divorce action, an action to collect a family support obligation, or several other action against the debtor. The exceptions to the automatic stay are listed in 11 U.S.C. § 362(b). Generally, within 40 days after the filing of the bankruptcy petition, the trustee will hold a meeting of creditors. At this meeting, the debtor is under oath, and the trustee and creditors may ask the debtor questions. The debtor is required to attend the meeting and to truthfully and fully answer questions regarding his or her property, income, assets, and other financial information. Within 10 days of this meeting, the trustee will report to the court whether the case should be presumed to be an abuse under the means test. When a chapter 7 petition is filed, a trustee is appointed. The Trustee's purpose is to administer the case and liquidate the debtor's nonexempt assets. If all the debtor's assets are exempt or subject to valid liens, the trustee will file report with the court declaring that there are no assets to be sold, and that there will be no funds available for distribution to unsecured creditors. Most Chapter 7 cases involving individual debtors are such "no asset" cases. If, on the other hand, it appears that the debtor has nonexempt assets for the trustee to liquidate, any unsecured creditors who wish to share in the distribution of funds from the sale of the debtor's nonexempt assets must file their claims with the court within 90 days after the first date set for the meeting of creditors. Creditors who are government units, such as the Arkansas Department of Finance and Administration, have 180 days to file a claim. When a bankruptcy petition is filed, it creates what is called the "bankruptcy estate." This "bankruptcy estate" is, for all practical purposes, the temporary legal owner of all the debtor's property. It consists of all legal or equitable interests of the debtor in property as of the date that the bankruptcy petition is filed. The most important function of the trustee is to liquidate the nonexempt property in the bankruptcy estate and distribute the proceeds to the debtor's unsecured creditors. This is done by the trustee selling the debtor's nonexempt property if it is free and clear of liens or if it is worth more than any security interest or lien attached to the property and any exemption that the debtor holds in the property. The trustee may also use his "avoiding powers" to recover money or property. These "avoiding power" allow the trustee to set aside certain kinds of property transfers, undo security interests and other pre-petition transfers of property that were not properly perfected under nonbankruptcy law at the time of the petition; and pursue other claims that are available under state law. For those filing Chapter 7 bankruptcy, the final goal is to have his or her debts discharged and to keep all nonexempt property. A discharge relieves debtors of personal liability for most debts and prevents creditors from taking any action to collect from the debtor. While a Chapter 7 discharge is subject to many exceptions, individual debtors receive a discharge in nearly all 7 cases. Unless a creditor or other interested party files a complaint objecting to the discharge or files a motion to extend the time to object, the bankruptcy court will issue a discharge order relatively quickly, usually within 60 to 90 days after the date first set for the meeting of creditors. A Court may only deny a discharge for very limited reasons in a Chapter 7 case. Among such reasons are that the debtor failed to keep or produce financial records, failed to explain a loss of assets, committed a bankruptcy crime such as perjury, failed to obey a lawful order of the bankruptcy court, fraudulently transferred, concealed, or destroyed property that would have become property of the estate, or failed to complete a required financial management course. Secured creditors, those having a perfected security interest in property belonging to the debtor, may retain some rights to seize property securing an underlying debt even after a discharge is granted. "Secured property" is property that serves as collateral on a debt. Usually, if a debtor wishes to keep secured property (most often an automobile or home that is the collateral for the purchase loan), he or she must "reaffirm" the debt. A reaffirmation is an agreement between the debtor and the creditor that the debtor will remain liable for the debt even though the debt would otherwise be discharged in the bankruptcy. In return, the creditor promises that it will not repossess or take back the automobile or other property so long as the debtor continues to pay the debt. Such reaffirmations must take place before a discharge is entered. A written reaffirmation agreement must be signed by the debtor and filed with the court. All reaffirmation agreements must contain an extensive set of disclosures described with particularity in the Bankruptcy Code including the amount of the debt being reaffirmed, how the debt is calculated, and that by reaffirming the debt, the debtor's personal liability for that debt will not be discharged in the bankruptcy. Along with the reaffirmation agreement, the debtor must sign and file a statement of current income and expenses which shows that the debtor will be financially able to pay the reaffirmed debt. If it appears that the debtor will not have the ability to pay the reaffirmed debt, the court may refuse to approve the reaffirmation agreement. When a person receives a discharge Chapter 7 bankruptcy case, a creditor of a discharged debt may no longer take any action against the debtor to collect a discharged debt. However, not all debts are subject to discharged in Chapter 7. Debts that are not able to be discharged in bankruptcy include debts for child support, certain taxes, certain government benefit overpayments, government guaranteed student loans, debts for certain willful and malicious injury caused by the debtor, debts for death or personal injury caused by the debtor's operation of a motor vehicle while the debtor was intoxicated, and debts for certain criminal fines, fees, and restitution orders. The debtor will continue to be liable for these types of debts even after being granted a discharge. Other debts, such as debts for money or property obtained by false pretenses or fraud will be discharged unless the creditor files an objection to discharge in a timely manner and is granted an Order by the bankruptcy court declaring the debt to be nondischargeable. Finally, even after the debtor is granted a discharge, the court may revoke that discharge upon the request of the trustee, a creditor, or the U.S. trustee if the discharge was obtained through fraud by the debtor, if the debtor knowingly and fraudulently failed to report the acquisition of property that should have been included in the bankruptcy estate or to surrender the property to the trustee, or if the debtor makes a material misstatement or fails to provide documents or other information in connection with an audit of the debtor's case. While the above information should provide a basic understanding of Chapter 7 bankruptcy, it is by no means a complete and detailed explanation and is intended only to give a brief summary which will help in making the decision of whether or not to consider filing a Chapter 7 bankruptcy.